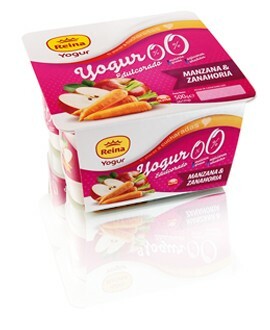 Reina Yogurt with an irresistible layer of Strawberry and Mango come together in this dessert resulting in a delicious and refreshing combination. With a unique texture and flavor. An innovative dessert. 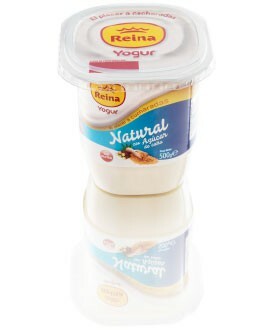 Reina Yoghurt with Flan and a delicious layer in the bottom of Pear, Vanilla and a touch of Cinnamon. A mix of flavours that makes us go back to childhood. 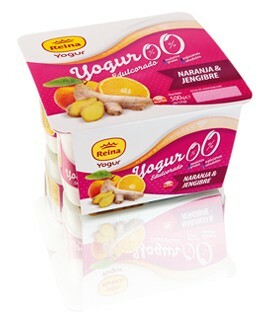 Reina Yoghurt combinated with biscuit, banana and orange. 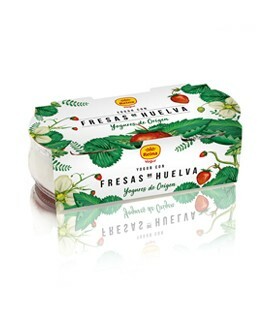 Reina Yoghurt with Strawberries from Huelva. Now in a two-unit format. 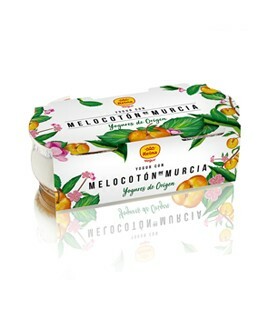 Reina Yoghurt with Peach from Murcia. Now in a two-unit format. 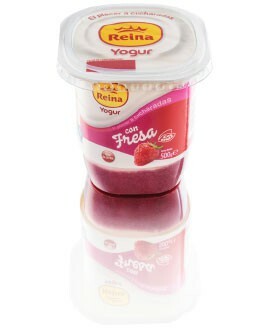 Reina Yoghurt with Strawberries from Huelva. 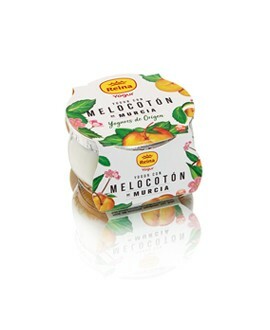 Reina Yoghurt with Peach from Murcia. 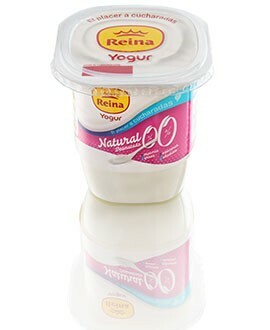 Sweetened and skimmed Natural yoghurt with no added sugars and fat-free. 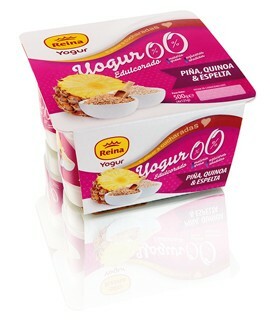 Sweetened and skimmed fat-free yoghurt with no added sugars. With Orange and Ginger. 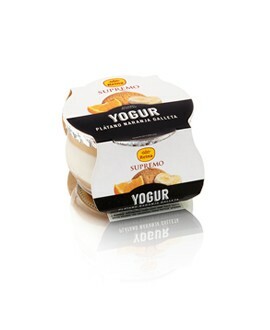 Sweetened and skimmed fat-free yoghurt with no added sugar. With Apple and Carrot. 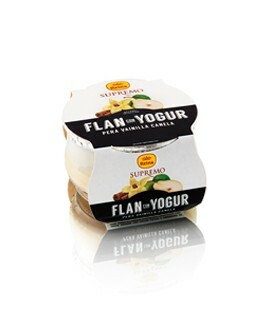 Sweetened and skimmed fat-free yoghurt with no added sugars. With Pineapple, Quinoa and Spelt. 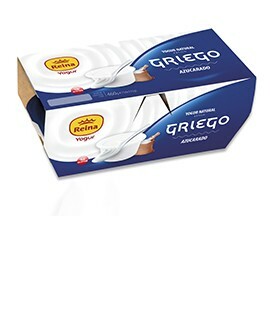 A different and original flavour, an amazing combination of the creamiest yoghurt with cappuccino. 0% fat. 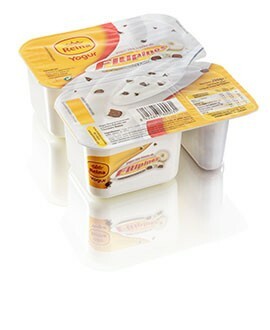 An irresistible combination of yoghurt with delicious honey. 0% fat. Oriental flavour from a layer of tea, sweet aroma of vanilla and a touch of cinnamon, a perfect combination for a surprising yoghurt. 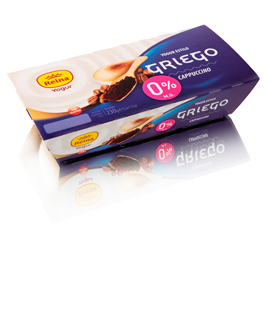 The same creamy texture of our regular Greek style yoghurt, but 0% fat, and sugar-free sweeteners, a real pleasure. 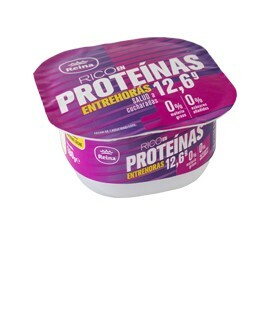 A different product to grab a bite at any time of the day in a healthy and delicious way, rich in proteins and 0% fat, and sugar free-sweeteners. Creamy yoghurt, 0% fat with cane sugar and bifidus. Surprising combination of creamy yoghurt with a layer of Pear, Vanilla and Cinnamon. Surprising combination of creamy yoghurt with a layer of Strawberry, Lime and Mint. 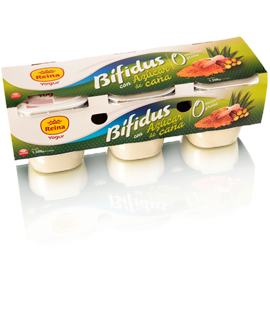 Creamy bifidus yoghurt with cane sugar. Sweetened Bifidus Yoghurt. 0% fat. 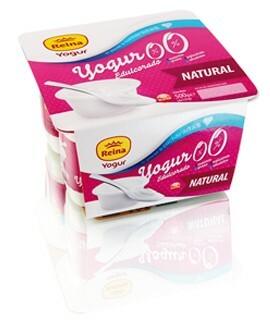 Natural sweetened bifidus yoghurt. 0% fat. 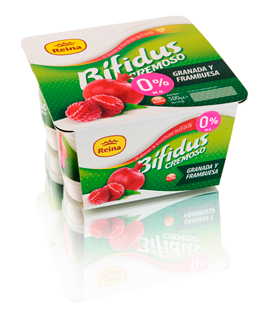 Indulgent and creamy bifidus yoghurt with pomegrenate and raspberry. 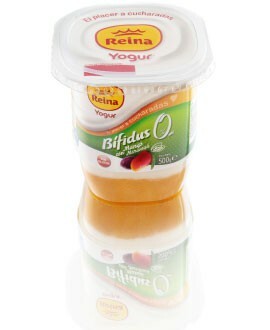 Fresh and creamy bifidus yoghurt with peach and passion fruit. 0% fat. Creamy texture with a layer of strawberry and cocoa cream. Creamy texture with an indulgent layer of banana and dulce de leche. Creamy texture with a layer of pomegranate and raspberry. A perfect combination. Creamy yoghurt with sugar, unique flavour. 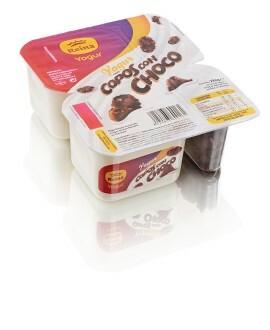 A split cup format containing sweetened yoghurt in one part and chocolate cornflakes in the other. It will surprise your taste . Creamy texture with strawberry chunks, up to 60% fruit. 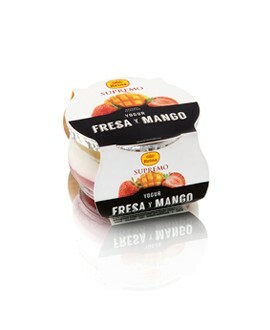 Creamy texture, 0% fat with mango chunks, passion fruit juice and bifidus. 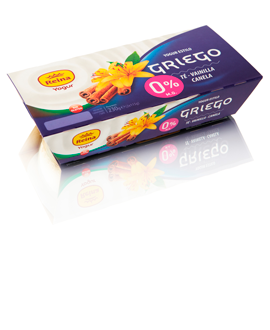 Creamy yoghurt sweetened with cane sugar.Egg-free & gluten-free. 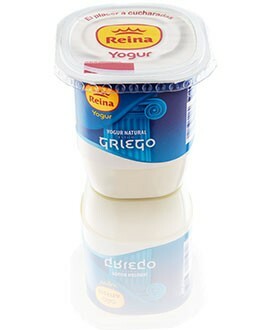 Creamy greek style yoghurt. 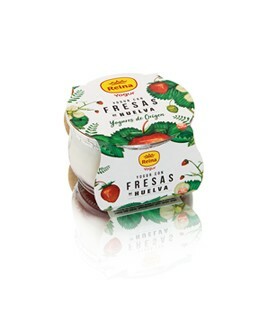 Add some fruit, cereals, nuts or you can also enjoy it as a dressing on sauces or salads. 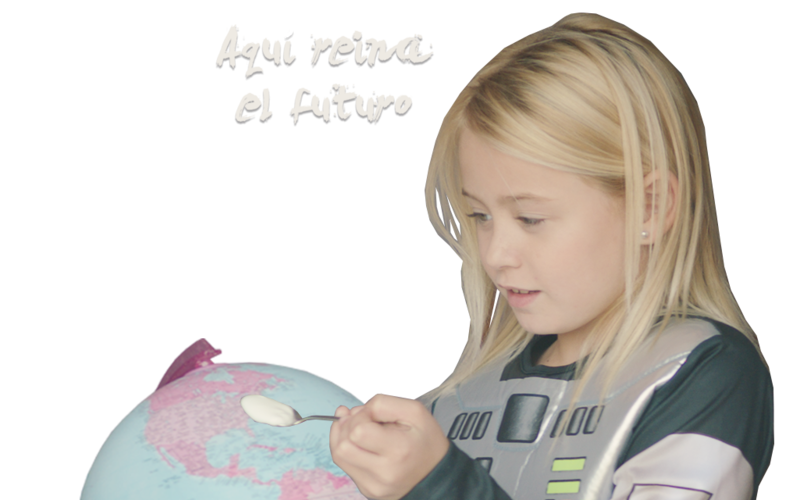 Sweetened, skimmed, fat-free yoghurt with no added sugar. Perfect for those watching their weight! 500 g. Egg-free, gluten-free, fat-free with no added sugar. Part yoghurt, part filipino chunks (crunchy chunks of biscuit covered in white chocolate), the perfect snack to have any time of day. 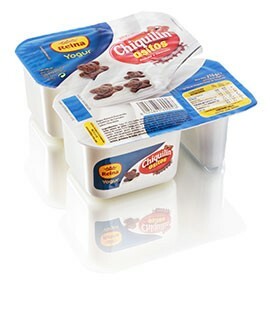 Part yoghurt, part chocolate chiquilin ositos. You can mix them and enjoy them as the perfect afternoon snack. 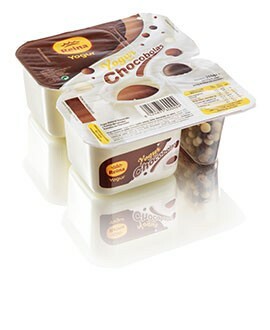 Part yoghurt, part chocoballs. Yoghurt and cereal balls covered with 3 chocolates (black, milk and white). You’ll love its crunchy taste!